We had friends over for dinner last night, and to watch the first game of the NBL Grand Final Series between the Perth Wildcats and some other team called Melbourne United. 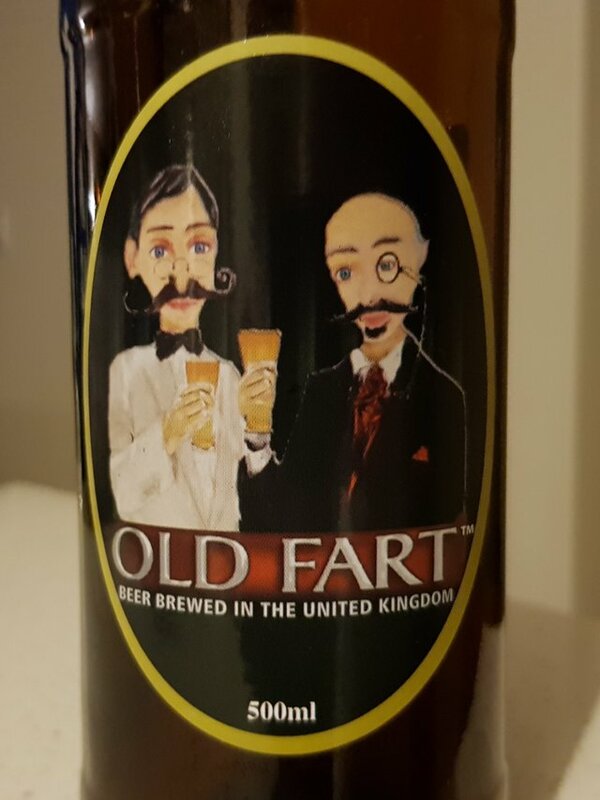 It just so happened that my friend had just celebrated a birthday earlier in the week, so as a bit of a gag I got us each a bottle of beer.... Old Fart beer! It didn't really matter what it tasted like; I got them just for the novelty of the label and the occasion. At $10 a bottle, I was hoping it would taste at least half decent. It didn't disappoint, I'll give it that. It was actually really pleasant, served slightly chilled.